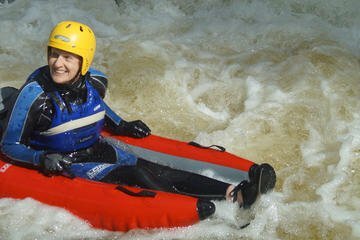 Go bugging on a half-day adventure down the River Tummel near Pitlochry in Scotland. Play in the river in these one person craft that are like a giant inflatable. After receiving expert instruction from our experienced river bug guides, well get you out on the river complete with your webbed gloves and full wetsuit gear. We will help you negotiate your own path down the white water rapids. You can expect adventure, excitement and guaranteed fun!